I read this article and found it very interesting, thought it might be something for you. 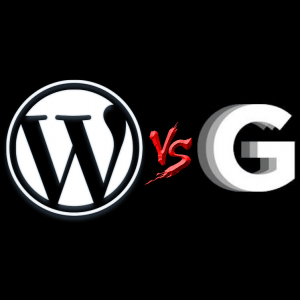 The article is called The WordPress vs Ghost Incident And Forgetting The Competition and is located at https://www.ben-johnston.co.uk/wordpress-vs-ghost-forget-the-competition/. I don’t know if you noticed the other day, but there was a bit of drama on Twitter about a post on FastCoLabs where John O’Nolan, the main man behind Ghost, took a bit of a pop at WordPress. It focused around the fact that WordPress has gotten too complex for blogging and has lost its way a bit, leading to web-based publishing becoming fractured. If you’ve not read it, the link’s here. Basically, Ghost is going to be a new content platform (because we need another one) and he’s aiming it at being simple and just for blogging. The WordPress community didn’t take overly kindly to it; there were some stern words from the creators and even other business owners like Copyblogger in the comments and on Twitter. I can see why – the article contained some notable inaccuracies and wasn’t a particularly thinly-veiled ad for Ghost and, when there are a large number of companies making a lot of money out of WordPress, there are obviously some vested interests. Personally, I don’t care that much. This site’s built on WordPress and I’m a huge fan of the platform. It’s easy enough for me to use, tweak and optimise as I see fit and I can do pretty much anything I want with it, from running a blog to a full-scale website. To be honest, I see it as being only as complex as I want to make it, but I suppose that’s the point of the platform in its current incarnation. The reason this struck a chord with me is that it kind of reflects something I’ve been trying to work on in myself recently: this entire article and the surrounding outcry really seemed to be a case of worrying more about what the competition are doing and trying to tear it down than just focusing on what you’re doing, and that’s something I really want to get away from. It’s tricky to do sometimes, particularly when I see competitors winning massive contracts based entirely on horsecrap, but that’s not helping me get better at what I do. I’m trying to stop caring about the reasons behind the success others have and focus more on what I’m doing and where improvements can be made. That’s going to take me some time, but that’s where I want to be, and that’s kind of what I think about this WordPress/ Ghost disagreement. Competition’s healthy and, sometimes, you should just focus less on worrying about what others are doing and carry on doing your thing as best you can. Maybe Ghost will encourage WordPress to up their game, maybe it won’t, but the battle’s not going to be won on blog comments or Twitter, it’s going to be down to who does the best work. WordPress has a big head start, but I can’t help but think that the article would’ve done more for Ghost if it had centred around what Ghost actually does, rather than complaining about another platform. And that brings us back to this blog. I wrote a while back about how I was planning to up my game here, but it hasn’t quite panned out. I’m still writing what I consider to be pretty good content, but the off site work still hasn’t quite happened. I need to address that rather than moaning about how crappy content gets better links – of course it does, the authors do the work in outreach and on social networks. How they manage to do that when they have a day job is another issue, but that’s part of my point. I need to do more work on that side of things or all the time I spend on writing posts and tweaking this site to make it as fast as it can be will be for nothing. So that’s my take on things. How about you? Did you think the WordPress vs Ghost issue was needless, or do you just enjoy a good Twitter scrap? Are you focusing on your own goals or are you more interested in taking down the competition? I’ve got my comments section working properly again, so feel free to let me know.